BUBBLES IS NOW AVAILABLE! 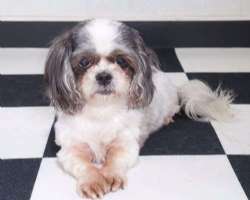 Bubbles is a happy ~ 6yr old Shih Tzu. She came to us as part of a bonded pair with China. We have found that they do well when separated, and would be fine going to different homes. Bubbles is a little ball of joy. She loves to cuddle and give kisses. She's quiet and well-mannered. She needs light exercise, but is content to relax somewhere comfy in her downtime. I'm available now. 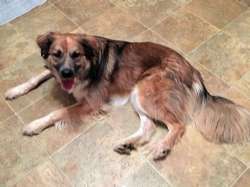 Buddy is a 3.5 year old neutered male Australian Shepherd / Great Pyr mix. He was with a family for the last year and he was great with the two tweens and is very tolerant of the two year old. Some things we learned about Buddy: He loves the snow, will play fetch for hours, likes to dig if he's bored, likes TV, and likes to sleep with a fan blowing on him. If he hears a fire or police siren, he howls. As a herding breed, the ideal home would be suburban or rural for him and a fenced in yard. He loves hiking and loves nice walks or romps in the fields and woods. He needs daily exercise and fresh air. 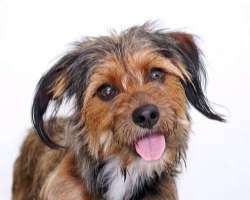 He will do best with a dog owner who understands his need for daily exercise. He would do best in a home where someone is home at least part of the day as he that has been his routine for the past year or so. He would co-exist happily with another female dog or as an only dog. Please fill out the online application and we will arrange for you to meet him. Buddy will not be at our Tuesday 9/6/16 Meet and Greet. 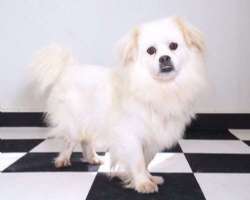 Buster is a friendly, small 3 year old Pekingese / American Eskimo. He looks like an Eskie with an underbite. He's a very sweet dog who loves attention. He's great with kids and seems to do well with other dogs. He has come up from Kentucky to find his forever home and will be at our Meet and Greet Saturday August 13th from 12-3 PM at our shelter, so please apply online to speed up the process and come meet this adorable fluff ball! Private appointments available as well as he is available now. 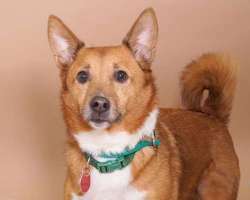 Chicken is a neutered male Corgi mix who is 5 years old. He is very sweet. He is great with other dogs. Knows basic commands. Loves to go for walks. Weighs 35 lbs. He is available approximately 9/27/16 and if you would like to meet him you can drop in to our shelter at 604 Boston Post Road in Sudbury from 3-6 PM on Tuesday. An application filled out online ahead of time speeds the process. 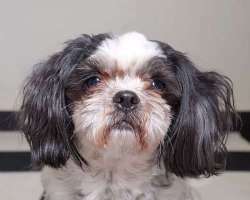 China is an adorable 8 year old Shih Tzu. She came to us as part of a bonded pair with another Shih Tzu named Bubbles, but we’ve found they don’t mind being separated. China would make a great addition to any family. She’s a sweetheart and loves to snuggle in a comfy spot while she gets her ears scratched. Outside she’ll roam to go to the bathroom, but she’s content to lounge in the sun. Please fill out an application online to speed up the process and come meet this sweet girl! She will need a dental so your donations are much appreciated. 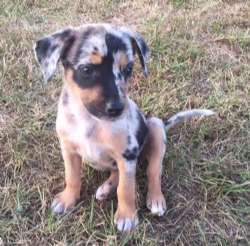 Cowgirl is the blue merle female of the litter of three Australian Shepherd pups from Indiana. They have been in foster care since they were just a week old. They are a sweet group. Please be a stay at home or work from home as they need time and attention. They will be shown privately to applicants who have filled out the online application. 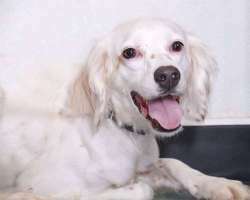 Crickett is a very petite (25 lb) three year old English Setter who ended up in a high volume animal shelter in Kentucky. Save A Dog stepped in and now she has the opportunity to find a wonderful home. She's a lovely dog, high energy, but bird-like and fragile. She has a prey drive and is a cat chaser so no cats. 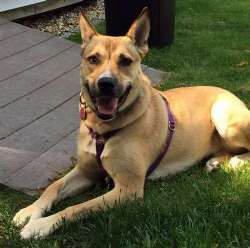 Hi there, My name is Fawn and I'm a 2 year old Cattle Dog mix (at least they think) and I am in need of an immediate home. I am back at the shelter while my foster mom is on vacation. I have been in a home for two months and have loved hanging out with my people. 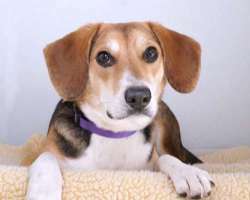 As a pup I was hit by a car, so I am not one to hop in a car and go for a ride, but with gentle persuasion I will go in for short periods of time. I am also very smart and love to play. I love to be outside and would prefer a fenced in yard to play fetch. Did I mention I am crazy over tennis balls?? Never met one I didn't like! I have been working on my obedience and basic commands. I have mastered Sit, Stay, Down, Leave It and Let's Go! I am at the shelter if you would like to come out and meet me. I am a good candidate for a "foster to adopt" option, because my personality really shines once I'm in a home. Fawn will be at our meet & greet on Tuesdays and Saturdays. Hi there, my name is Izzy! I'm a young Retriever mix and I love the water! I even have webbed feet. A perfect day for me would include going for a jog or playing ball, swimming, fetching tennis balls, playing with the hose, then relaxing after a busy day of activity. I really love to be with people and am happiest giving kisses and getting lots of snuggles. When I get excited I have a hard time keeping all four paws on the ground, so teens and up would be great. This is typical behavior for many young Labs so please don't be turned off. At this point I only do it to new people I meet, but not to my foster family. I was a big hit at the pool party and everyone thought I was the most awesome dog, but none were in the market to adopt so here I sit. 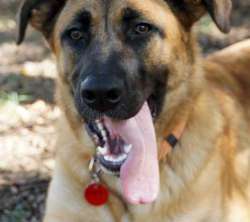 If you are interested in meeting me please fill out an online application at www.saveadog.org. 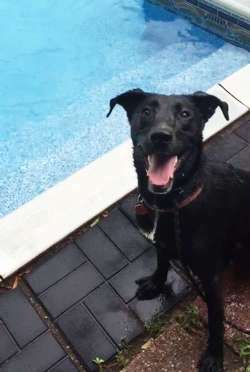 Izzy is in a foster home in Northboro so will be available by private appointment or we can bring her to the shelter if you'd like to meet her there. Day or early evening is OK. An application is required for a private appointment. Margaret is an incredibly sweet and friendly 3-4 year old Border Terrier / Norwich mix. She is available to meet by private appointment, but we're waiting for a spay appointment for her. We plan to have her at our Meet and Greet Saturday August 13th from 12-3 unless it conflicts with her spay appointment. She's a really wonderful dog, she loves kids, has been great with other dogs, and loves attention. Please fill out an application online to speed up the process then come meet this sweet little girl! She will need to be spayed prior to placement. 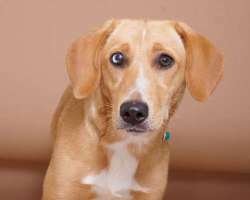 Molly is 5 month old Golden Retriever mix who is playful, affectionate, and very nicely behaved in the house. She is crate trained, almost fully house trained. She likes spending time with the other dogs and puppies; she gets along well with cats, rides well in the car, loves toys and going for walks. She bonds quickly with people. Her previous owner was physically impaired and wanted more for Molly than being inside so much of the time as she could see how much Molly enjoyed her time outside playing. 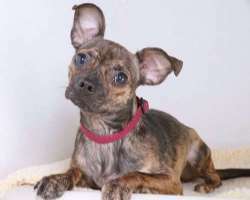 Molly is a very sweet puppy and will make some lucky family a very nice loyal companion, come meet this special little pup. She would very much like another pup or dog to play with for she will play play play then it is cuddle and nap time. She loves to be snuggled. She adores people and her doggie playmates. 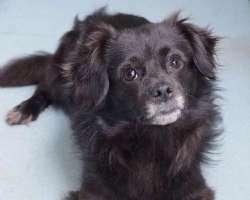 She could benefit from some doggie day care for socialization and play, but a family with time for her is preferred! She is jumpy and mouthy outside but settles down inside so please keep that in mind when you come to meet her. She only had one accident in the house so will quickly adapt to your household. Teens and up preferred as she will knock a small child over in her enthusiasm. She's still a toddler herself. Anyone with Retriever experience will be able to relate. She is available 9/27/16. We show the dogs on Tuesday and Saturdays. See Web site for hours. Plaid, Paisley and Tweed were tied out in a field with grass so tall it hid their small bodies. They are estimated to be a year old and each is under 20 lbs. They appear to be siblings. All seem fine with other dogs and fine with humans handling them. 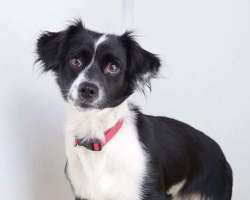 Paisley is a female spaniel mix, black/white, 15 lbs. Pictures and video were taken just after rescue so they are scared. Ages and breeds are estimates. 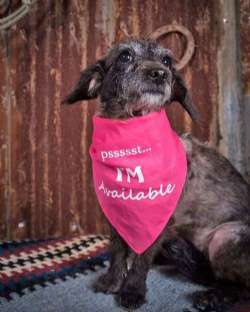 Paisley has had a LOT of interest and applications so if you haven't applied yet, it is best if you consider another dog. Paisley tested positive for lyme disease and we will use homeopathic treatment and ask adopters to follow the homeopathic protocol in order to protect her from microbiome damage. Watch her video just after rescue: https://www.youtube.com/watch?v=TV8L8cYQTVk&feature=youtu.be We expect them to be available for showing on Tuesday, September 13th, from 3-6 PM. Plaid, Paisley and Tweed were tied out in a field with grass so tall it hid their small bodies. They are estimated to be a year old and each is under 20 lbs. They appear to be siblings. All seem fine with other dogs and fine with humans handling them. 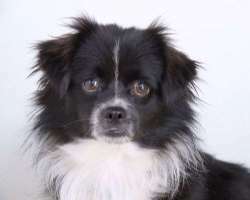 Plaid is a male and has the Peke fur and underbite, but he is a mix, possibly related to Paisley and Tweed. He's black/white, weighs 14 lbs. Watch his video just after his rescue: https://www.youtube.com/watch?v=jO6OyR7d4Pk&feature=youtu.be Plaid will be available for showing on Tuesday, September 13th, from 3-6 PM. Harry and Sally are siblings but can be separated. They were rescued in TX and they are about 2 years old and pretty laid back. Rescue thinks they are Poodle mixes. They have been in foster about 2 Mos. Will be coming up on the 17th and hopefully available on the 20th. They weigh 10-12 lbs. No phone calls, please. An application is best before coming to meet them. Our cost for rescuing them exceeds the donation for adoption so your donations help us to continue to save more. Arrival and availability dates are approximate. Please check the web site for actual dates before coming to meet them. 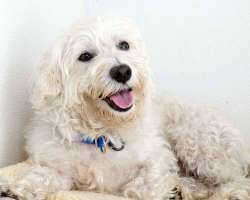 Telly is a 4 year old male Bichon / Poodle mix. He weighs 23 lbs. Seems friendly with other dogs and with all over handling. No history with children so teens and up for ages of household members. Telly passed the cat test. He has hair, not fur so needs grooming every 6-8 weeks.